It's time for another Thankful Thursday post. I feel like I've missed several weeks! It is always good to be thankful for what you have. Gratitude makes you realize how good life really is. . . .even in the hard times. 1. 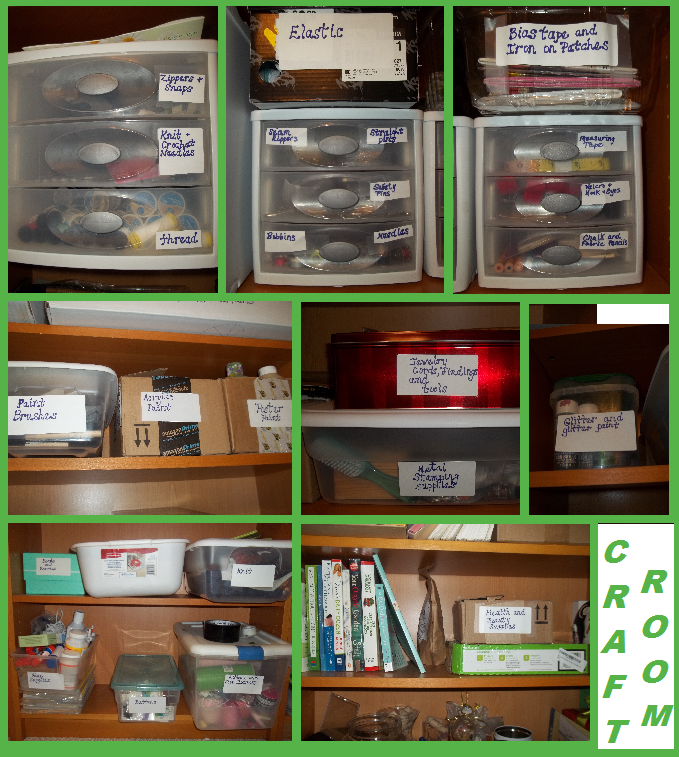 I am on track to get my craft room cleaned up! My craft room isn't as pretty as some people's craft rooms with their custom containers and shelving, etc. But, it's so organized now! So what if my stuff is in used amazon boxes, shoe boxes and mismatched bins?!?! I didn't have to buy anything special and I've put some boxes to use that might have otherwise been thrown into a landfill or tossed into recycling. . . . . and who knows what actually gets recycled out of all that mess. I can't even tell you how I was dreading walking into that room. It was clean last November when my parents came up to visit. It had to be because that was the room that they were sleeping in. But, then Christmas and the Disney party happened. And apparently my daughter thinks my craft room is her dumping ground for anything that she thinks doesn't fit in her bedroom. On Tuesday, I rolled up my sleeves and got set to work on it. It was kind of overwhelming and I had no idea where to begin. Now, everything has a home. Now, the fabric is the only thing I have left to organize. Woo Hoo! 2. I'm also thankful that my sister in law was able to babysit this past weekend. My hubby and I hada great time with his friends. 3. I'm thankful that I've been able to use all of the organic fruits and veggies that I've been ordering and they're not going to waste. 4. It's a silly thing~~but I'm thankful that the dark spots on my face (hormones & too many years in the sun!) are going away! I haven't been paying attention, but today I actually looked at my face and the spots seem to be fading! I think it's from the grapefruit scented coconut oil that I thought was a flop. 5. I'm happy that the kids seem to be having an okay week at school. There hasn't been much drama this week. Whoo! 6. I'm happy that the sun has been out a couple times this week. 7. I'm thankful that the robins are back and flowers have sprouted. In addition to my thankfulness for the things in my life, I'd like to offer prayers for the people in Oklahoma during the beginning of tornado season and to the friends and families of anyone involved in the crash in Europe. I'm thankful that I read your post tonight. We do have so many things in life to be thankful for and many we just simply take for granted. Thank you for your Thankful Thursday!